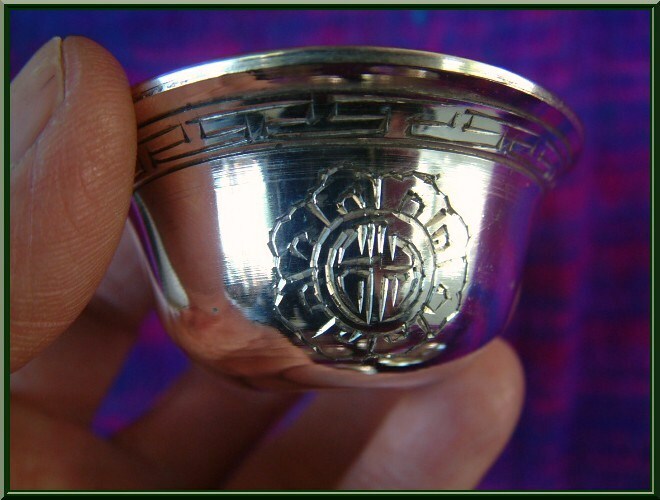 As used on Buddhist Altars a Set of seven offering bowls in silver colour as pictured. 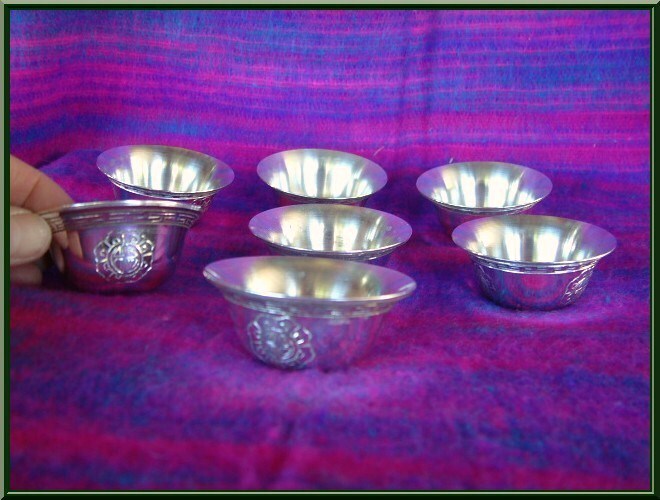 Measures: 6 centimetres across top Please note: These Offering bowls are a gold colour. 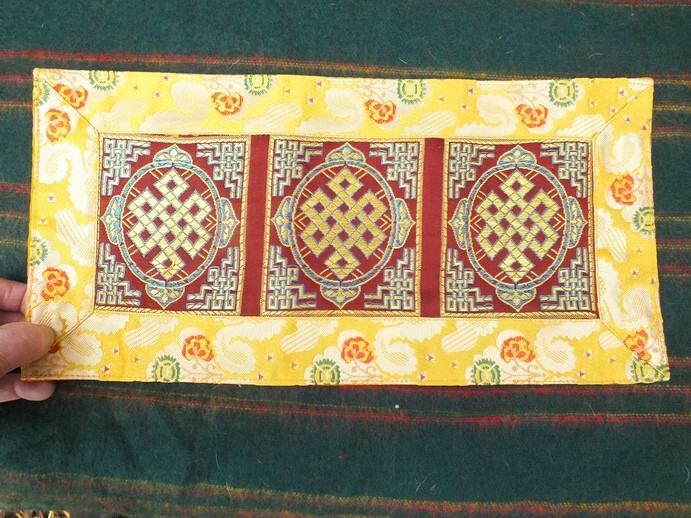 Beautiful Altars, mats and banners for your Altar, Shrine, Temple or Gompa. 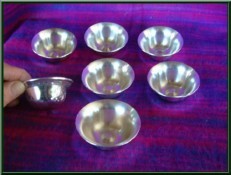 Gold colour set of seven Offering Bowls as used in Buddhist Ceremonies at Gompa, Temples and Home Shrines worldwide.